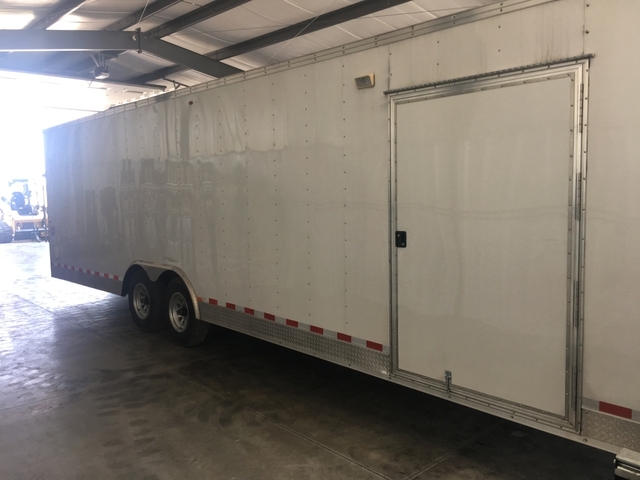 2009 built to order enclosed 32' V-nosed, bumper pull trailer, new 10-ply tires, oversized entry door, heavy duty rear door-reinforced to be used as a ramp to load full size vehicles without bowing. 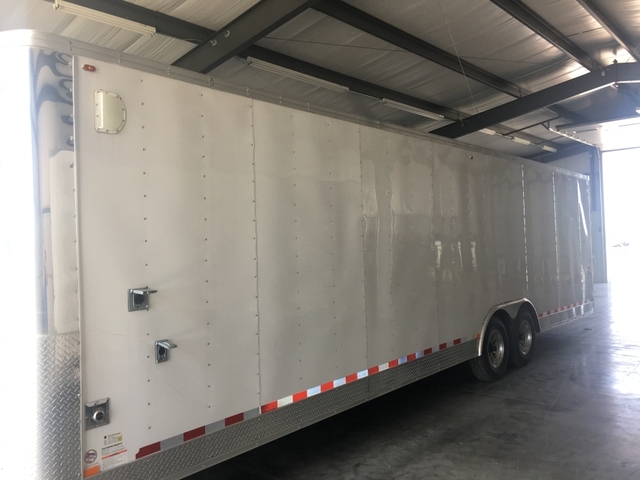 7'10" side walls if you are 6' plus you can stand upright also load full-size pickup with room to spare. 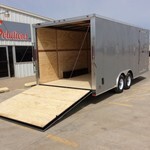 Floor and walls have 3/4" plywood with aluminum tread plate decking, 8 recessed floor tiedowns, outside load lights, aluminum wheels, 6000# torsion axles. 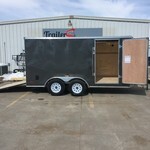 Comes with 6500ie Honda generator wired into trailer for power & exhausted to the outside. 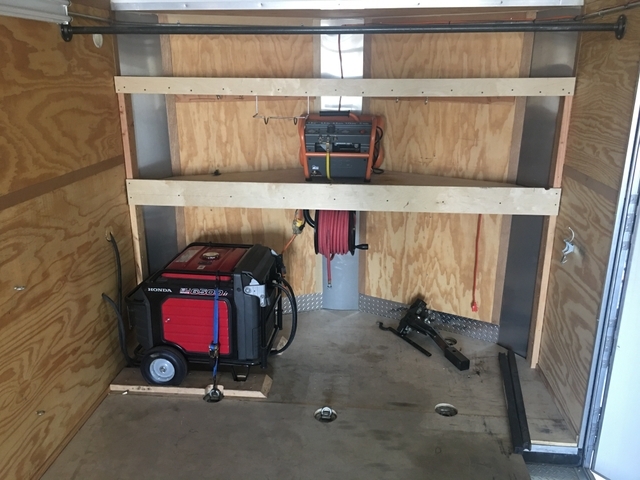 Compact air compressor and hose reel with hose. 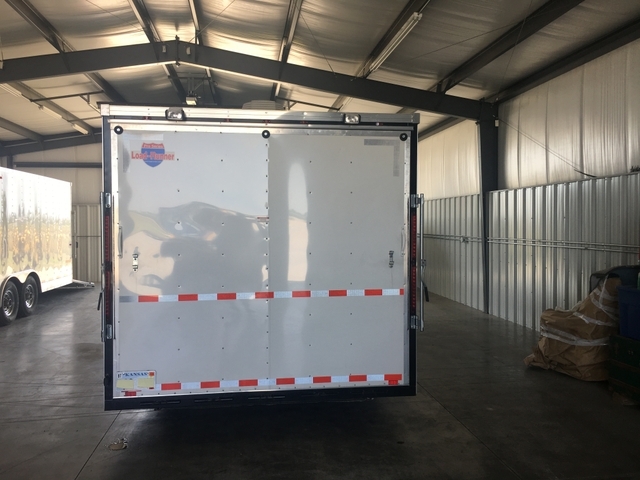 Cloths rack & storage in front of trailer. Anti-sway bar hitch is included. 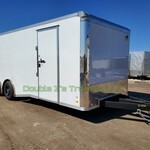 Trailer has been equipped with 6-4' T8 light fixtures wired into the trailer. All racks and misc. 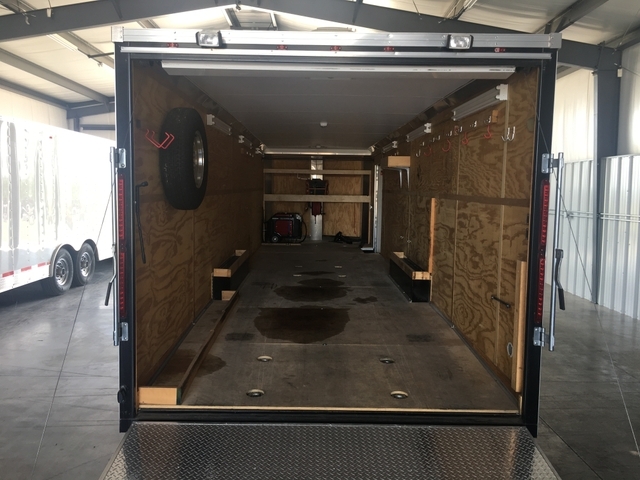 items in pic go with trailer. 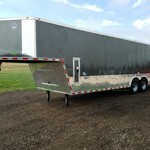 Remember this is a custom built trailer not one you can buy off a lot. 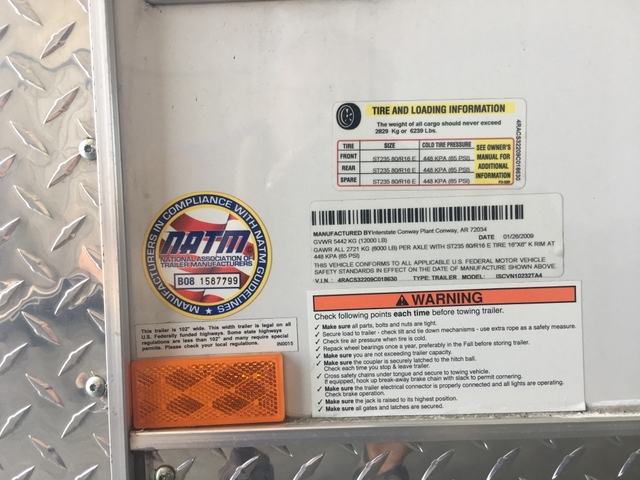 Would take $8000.00 less generator and air compressor. Thanks for looking.